A parliamentary report of 1777 recorded parish workhouses in operation at Rochford (with accommodation for 24 inmates), Hockley (20), and Rayleigh (20). Old maps shows a former workhouse at the south side of Eastwoodbury Lane, Eastwood. It appears to have been demolished in around 1970. County of Essex: Ashingdon, Barling, Canewdon, Eastwood, South Fambridge, Hadleigh, Hawkwell, Hockley, Leigh, Paglesham, Prittlewell (2), Rawreth, Rayleigh (2), Rochford (2), Shopland, North Shoebury, South Shoebury, Southchurch, Great Stambridge, Little Stambridge, Sutton, Great Wakering, Little Wakering. The population falling within the union at the 1831 census had been 12,953 with parishes ranging in size from Shopland (population 117) to Prittlewell (2,266) and Rochford itself (1,526). The average annual poor-rate expenditure for the period 1833-5 had been £9,485 or 14s.8d. per head of the population. 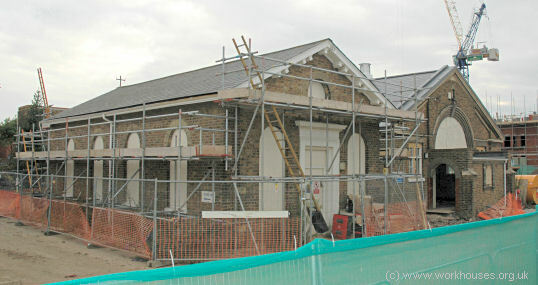 Rochford Union workhouse was built in 1837 on a site at the north side of West Street in Rochford. The building cost in the region of £5,000 and accommodated 300 inmates. It was designed by William Thorold who was also the architect of the Norfolk workhouses at Depwade, Guiltcross, Thetford, Walsingham and Wayland. His Rochford design is clearly based on one of the Sampson Kempthorne's model plans published by the Poor Law Commissioners in 1835 and 1836. The entrance to the workhouse is shown on a drawing made in 1937 at the time of the institution's centenary. Rochford workhouse entrance from the west, 1937. An infirmary was added at the north-west of the workhouse in 1858 and a chapel in around 1865. The site location and layout is shown on the 1895 map below. A number of other additions were made in the early years of the twentieth century. In 1901, the original infirmary became used for male patients, with and infirmary administration block a female infirmary being erected to the north. Rochford infirmary administration block from the south, 2006. At around this period, two blocks were erected at the east side of the southern entrance from Union Lane. The northernmost may have been used for lunatics or imbeciles, while the southern may have served as a receiving ward. Rochford receiving ward block(?) from the south-west, 2006. In 1912, a new dining-hall, kitchens and laundry were erected at the east of the chapel. Rochford chapel (left) and dining-hall from the south-west, 2006. In May 1916, the aged and infirm block was taken over by the military authorities for housing German prisoners of war. In 1920, the workhouse infirmary became known as Rochford Hospital and expanded in the 1920s with a new board-room block at the south of the site, additions to the infirmary and nurses' home, and a new block for mental and feeble-minded patients. The board-room block was also subsequently used as a chapel. Rochford new board-room block from the south-east, 2006. In 1930, the infirmary was handed over to the control of Southend-on-Sea's Public Health Committee. It underwent further expansion to the north-west, with the erection of new buildings in the "international modern" style. 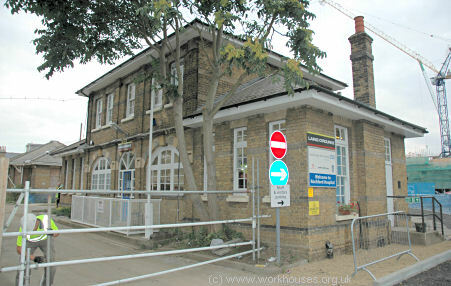 The hospital site was renamed Southend Municipal Hospital, later becoming Rochford General Hospital. 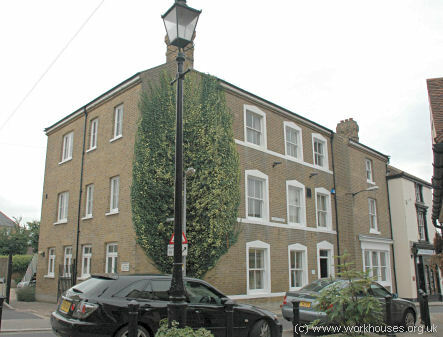 In 1930, the workhouse part of the site was transferred to the Public Assistance Committee and was renamed Rochford House. The main building was rebuilt in stages during the 1930s. The workhouse and hospital sites are shown on the 1938 map below. After 1948, the former workhouse became Connaught House old person's hostel, and was later known as the Roche Close home for the aged. 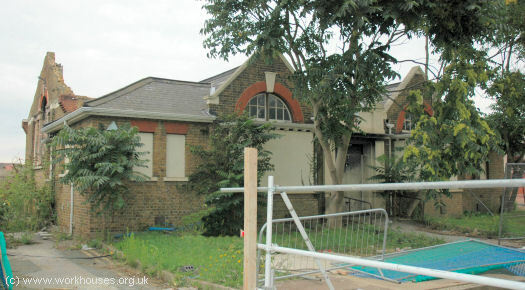 Most of the former workhouse buildings were demolished in the late 1990s. In the early 1900s, the Rochford union eastablished a children's home in Acacia House at the junction of South Street and East Street in Rochford. It could accommodate 42 children. The building is now used as council offices. The former Acacia House children's home, 2006. 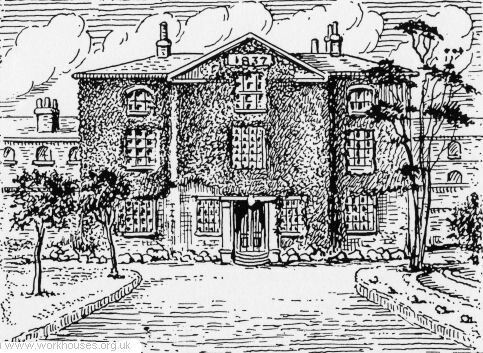 In around 1925, a second home housing a further twelve children was opened at The Homestead, 12 Bulwood Road, Hockley. The property is now in private residential use. Essex Record Office, Wharf Road Chelmsford CM2 6YT. Holdings include: Guardians' minute books (1835-1930); Births (1837-1930); Deaths (1914-22); Lists of poor in workhouse (1774-1829); Newspaper cuttings (1894-1936); etc.